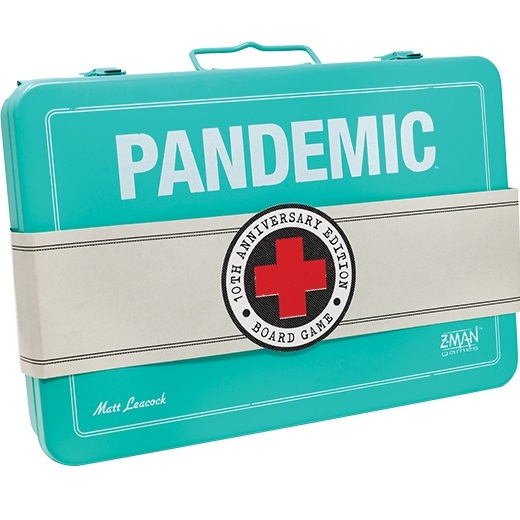 Pandemic has become an instant classic and was the first cooperative tabletop for many of us. Join Adam and Drake in taking a look at the latest celebration of the game. 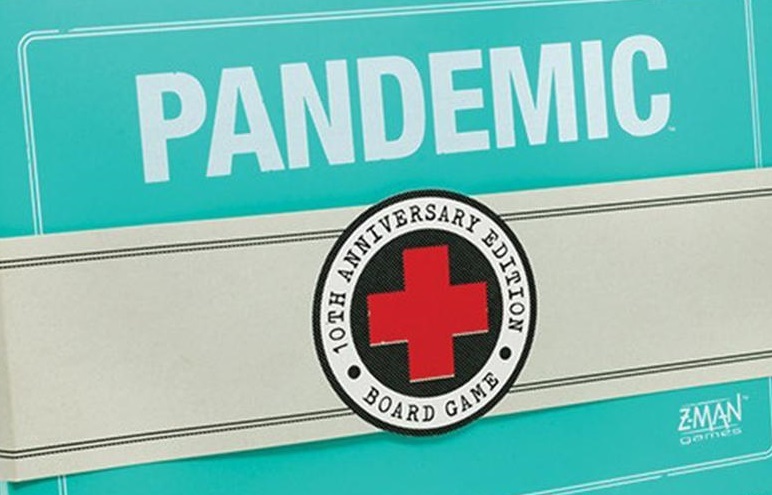 Pandemic 10th Anniversary Edition is a reprint of Pandemic, and features new art, new miniatures and components, and a fancy metal first-aid style tin. 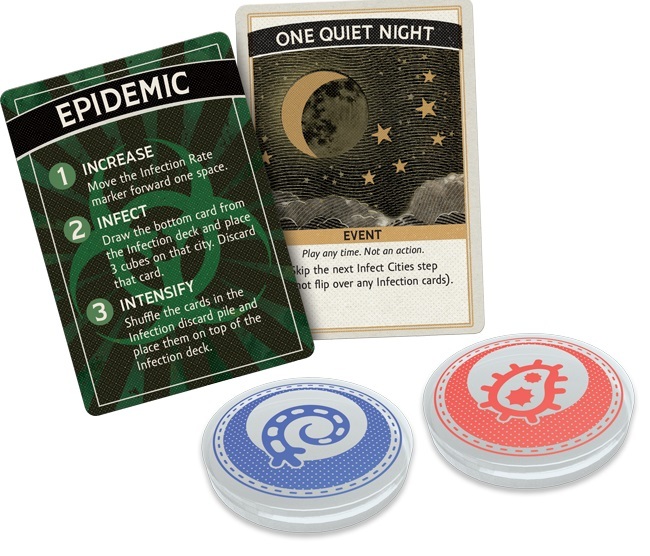 Pandemic is a cooperative strategy game with action point allowance and set collection mechanics. The goals of the players is to cure the 4 diseases plaguing the planet. A disease is cured by having a single player discard 5 cards of the same color. These cards are gained through drawing during each player’s turn, but victory requires players to trade cards between each other to achieve the 5 cards required. Meanwhile, the diseases ravaging the world but also be kept in check, which can force one of many loss conditions for the players. The 10th Anniversary Edition updates much of the art on the game board for a more classic look. Personally, I get a very WWI vibe, which I really love. 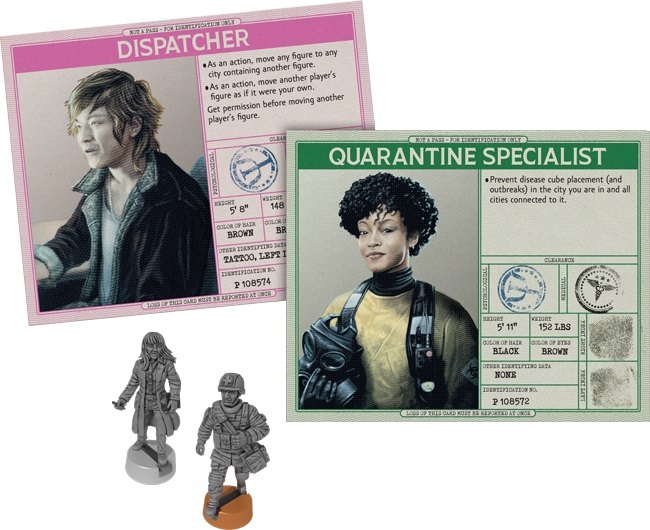 The game also comes with updated character cards and detailed miniatures for each of the characters, instead of the colored pawns. Of course there is updated art for each of these event cards. Additional artistic icons for each of the diseases give them a more distinctive flair than ever before. 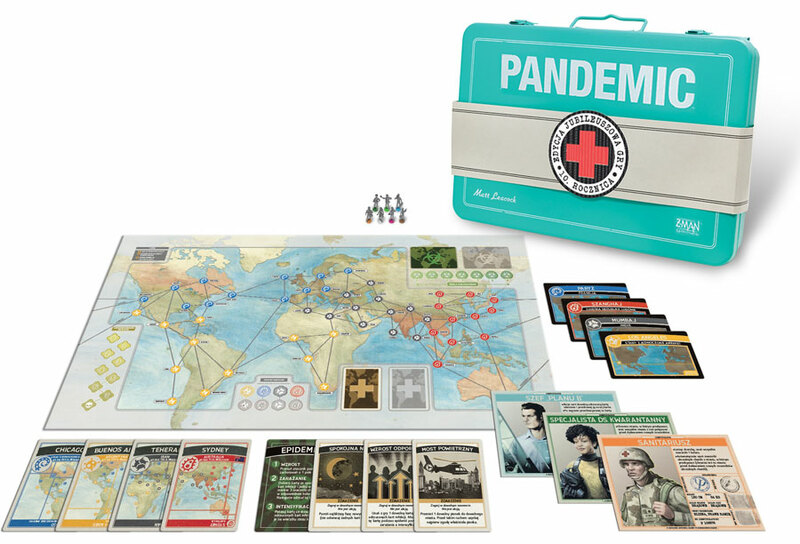 If you’re a fan of Pandemic, donate your copy to a friend or just throw that old junky copy away if you don’t have any because this new updated edition is going to make you the envy of all your friends that you may or may not have.